We sell National Hives (Western Red Cedar), available ready assembled or flat-packed. 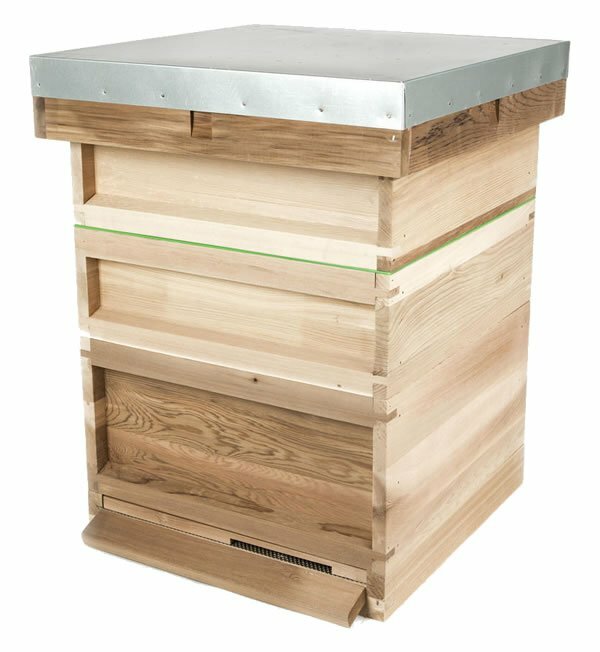 National Hives consist of: 100mm Flat Roof with metal cover, Brood Box, 2 Super Boxes, Varroa Mesh Floor with slide out Inspection Tray and Angled Alighting Board, Entrance Block, Crown Board, Plastic Queen Excluder and are supplied with full instructions. 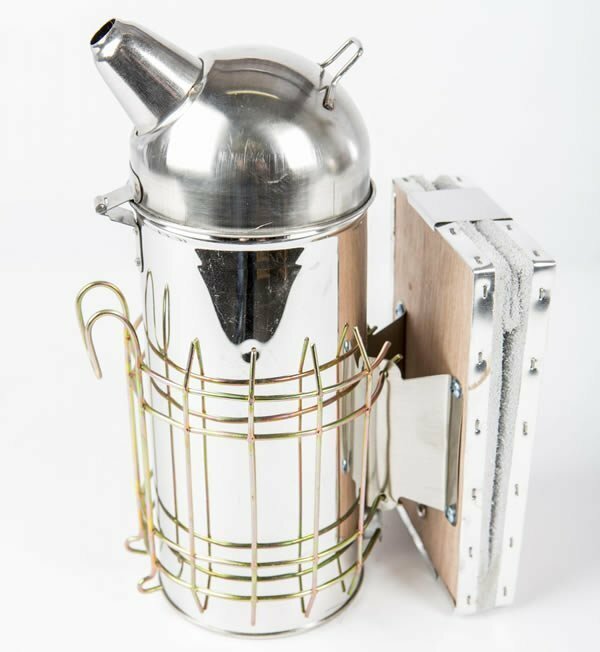 We have a selection of all types of beekeeping equipment in our online shop including Hive Parts, Super and Brood frames, fixing pins, hive tools, spare Supers, bee brushes, smokers, queen excluders, bee feed and more. 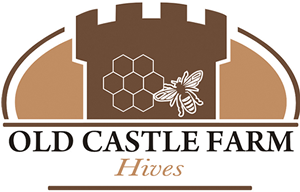 We supply beekeepers in the Neath and Swansea area, across Wales and the UK. All equipment is available to order online or by telephone. 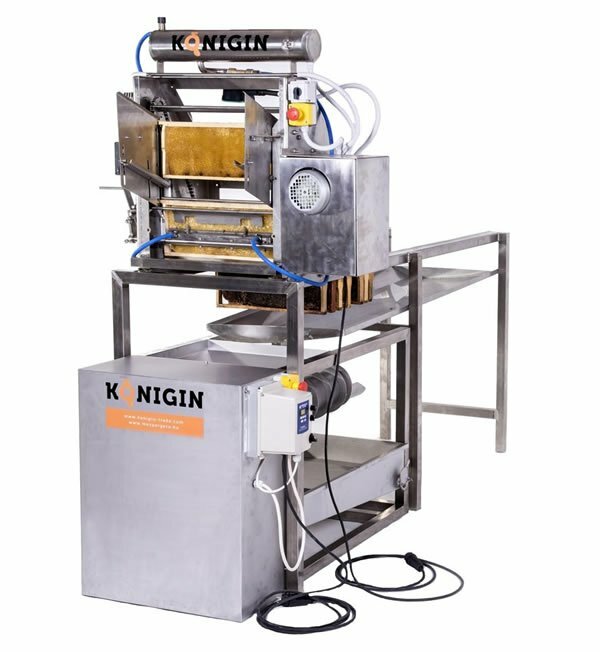 We stock a range of Konigin honey extraction equipment, including Radial, Self-turning and Tangential Honey Extractors, Fully and Semi-Automatic Uncapping Machines, Wax Melting Centrifuges and Uncapping Tanks. Konigin has been producing bee-keeping equipment for over 10 years, producing some of the highest quality machines in Central Europe.